To many, the holidays are about giving and being with those you love, but to burglars the holidays are about taking. Not only will these burglars take your things, but they will also take the joy and warmth from you as well. According to the U.S. Department of Justice, American homes are victims of burglary about every 15 seconds. 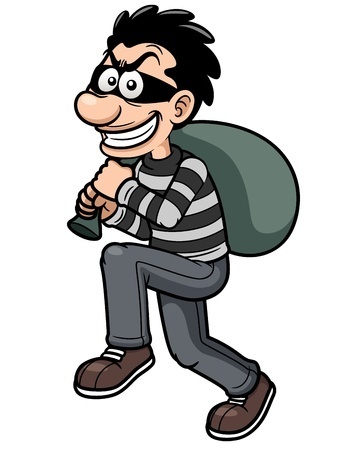 Typically, burglars spend less than 60 seconds in their attempt to break into a home. This means that the more difficult it is to gain access, the more likely a burglar is to reconsider the attack. Here are some simple tips and tricks that can help to deter burglars. Burglary is sometimes a simple case of window shopping. By drawing shades or drapes you can keep potentially valuable objects out of view. Around the holidays it’s easy to simply throw away boxes of a new flat screen, video game system, laptop, or other expensive electronics right on the curb. However, for the same reason you should draw your blinds, you should consider finding a better way to discard these boxes. You’re advertising to a burglar that you have a bunch of brand new things in your home that make it worth breaking in to. The sudden change from dark to light will not only startle potential burglars, but it will also alert you and your neighbors to outside activity. If you’re away from home over the holidays, it’s a good idea to set up timers on your lights and TV so that it appears that there is someone home. Again if you’re away from home over the holidays it is imperative that you make an attempt at making it look like your home is occupied. A weeks’ worth of mail and newspapers sitting outside of your house is a dead giveaway to burglars that no one is home. Over 60% of all burglaries require forcing a ground floor level door or window open to gain entry. Make sure your doors are strong enough to withstand Doors and windows Steel wrapped wood core doors are the best, for more info on reinforcing your door, stay tuned for our post featuring Tips to Burglar Proof Doors. Reinforce windows with tempered glass, Plexiglas, or laminated glass to make it difficult for thieves to enter through the window. For a look at which types of window reinforcements are right for you, stay tuned for our post on How to Burglar Proof Windows. Deadbolts make it harder for a thief to simply brute force their way through your door and they don’t cost much to install. Take a look at our Smart Lock post for some great smart home lock options. Also consider one sided deadbolts. They do not have keyed access from the outside, so you can only use them when your home, but they can make it much more difficult for burglars to break in through your door, and will help to protect you and your loved ones while you’re sleeping. This last tip should be common sense, but is so often forgotten! Be sure to lock your doors and windows at night and when you’re away from home.